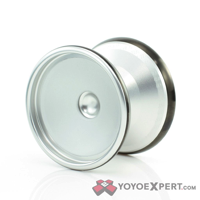 YoYoExpert Blog & Yo-Yo News – New C3yoyodesign Fingerspin & Gamma Crash! New C3yoyodesign Fingerspin & Gamma Crash! C3yoyodesign has really been building up this new release, and after throwing it we can say with confidence that this yo-yo completely lives up to the hype! The Fingerspin! The Fingerspin was designed around horizontal play and fingerspin tricks. It’s unique hollow body bi-metal design gives it the ideal shape and weight distribution for these types of tricks. The smooth concave cup of this yo-yo is press fit with a hole in the center leading to the perfect fingerspin dimple. This unique design allows for the Fingerspin to keep the center weight low while still creating an easy fingerspinning experience! The Fingerspin is capable of much more than fingerspins. This yo-yo is completely performance driven with a fast powerful feel on the string. The bi-metal design gives it a strong spin and excellent stability through your fastest combos! 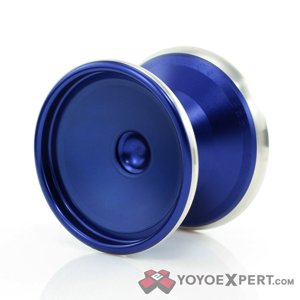 In 2012 C3yoyodesign released the Alpha Crash. It was their first plastic yo-yo and they created it with one thing in mind – To offer a high performance yo-yo at an affordable price. Now they’re taking that idea even further with their latest model – The Gamma Crash! The Gamma Crash is machined from POM plastic with aluminum hubs and beefy stainless steel weight rings. It has the powerful feeling of a bi-metal design in play and the forgiving comfortable feel of plastic in the hand. This yo-yo packs some serious performance, and with a $60 price tag we think the Gamma Crash will have a big impact!